A few more shots of pocket fountain pens---these taken by Stuart and myself (Maja) after the January meeting (photos taken during the January meeting are in this previous blog post). 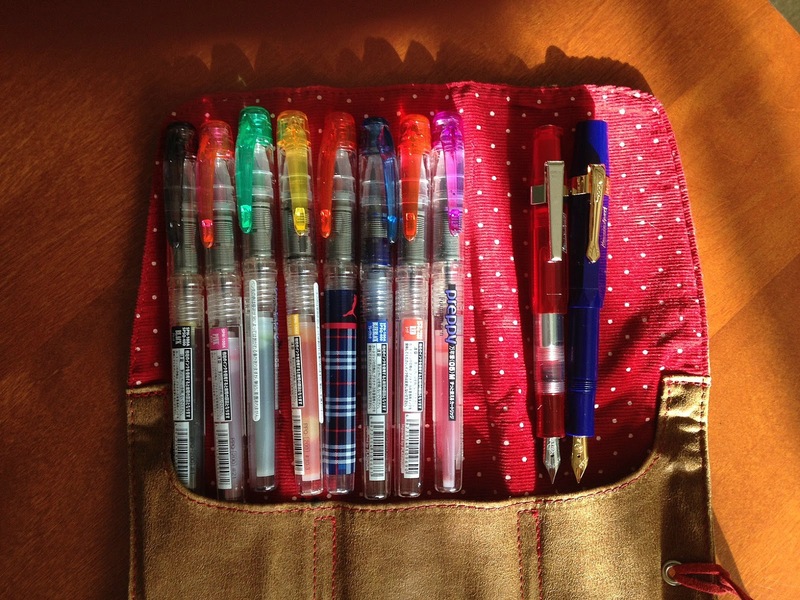 So, just how short are those pocket pens?? The Kawecos don't come with clips...so do they really need clips?? 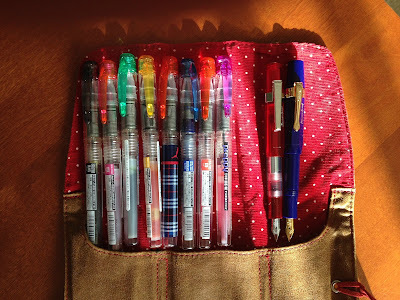 Well, it's up to you, but you have some choices if you go the clip route; my red/clear Kaweco sports (ha!) the Kaweco straight chrome clip, whereas its blue counterpart has the Kaweco curved clip in gold finish (which looks like the clips found on some vintage Kawecos). If you are considering purchasing a clip for your 'Sport' fountain pen, make sure you get the right kind-there are similar-looking clips for the Kaweco 'AL Special' and Kaweco 'Liliput' models, but they will not fit the 'Sport' fountain pen line.